A recent report by Ubisend on the public perception of chatbots highlighted that developers need to make their bots more welcoming and fun. Only 15% of those who took the survey considered chatbots as fun.So this was one of my first considerations in making a chatbot for a walking tour, a bookshop and a writers’ organisation. Yes, the bot has to carry the core information that the client wants to convey to their website users. But the point of deploying a bot for the clients is to increase engagement. The bot, therefore, has to be engaging. If it’s fun, the user will not simply abandon the bot mid conversation. Another important consideration is the question of whether the user wants to engage with the bot through typing or by simply clicking on quick links, images and cards. Initially, I thought the user would want a sophisticated experience, where the bot uses Natural Language Processing and AI to give a human-like feel to the conversation. Interestingly, however, as soon as I began to gather data from interactions with the bot it became immediately obvious that much longer conversations took place when the user did not have to type out a response. Something like 90% of conversations that did not reach the goodbye messages failed at the point where a written answer was required by the user. Since some of the businesses wanted to end the conversation with a request for an email address and permission to contact the user with offers, it was important to address these interrupted conversations and I did so simply by presenting many more ‘one click’ options. The good news on the development side is that if you are writing for the website of a small business, rather than a giant organisation, less is more. There is no need to build in highly sophisticated AI, costing hours of your time. You can channel the branches of the conversation and the user does not mind. They prefer it! For clients with a small business and for their customers, building brief, focused and practical bots rather than ones that might pass the Turing Test is the way to go. 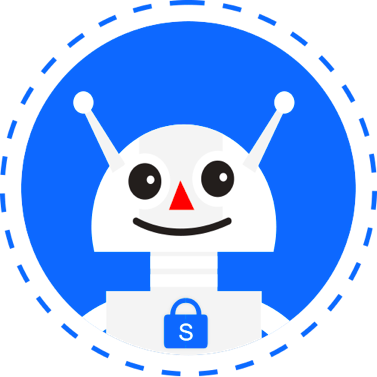 I’m using the SnatchBot platform to make my bots (the interface is intuitive, the bots can be placed on a variety of platforms, and — best of all — it is free). But one mistake that I made is replicable across all bot creation platforms, I’m sure, which is that I didn’t plan carefully enough and ended up writing far too many links over and over again, when a more thoughtful approach would have saved me hours. Suppose you have an interaction with six branches, say. Let’s call this interaction, Home. And after each branch has run it’s course, you want to offer the user the chance of selecting another branch that is available from Home. One solution is to simply loop back. But that can be very clumsy and inappropriate. It will be obvious to the user that the bot is repeating itself and offering choices the user has already made. So at first I created the five other choices that the user hadn’t previously taken and built all the relevant links. But I quickly realised, this was unnecessary. All I had to do was copy Home and move it down the bot structure, give it a new name, slightly reword the bot’s text to recognize this was a second choice and remove the option the user had already chosen. All the other links were therefore already in place and there was no need for me to recreate them over and over again. It’s worth planning, I could have saved a lot of time by copying interactions that essentially carried the same links. These three bots had essentially simple tasks: to engage the user and help him or her find relevant information. This information is, of course, already on the website. But not only does the bot provide the information in a more interactive fashion than does searching through webpages, it can present relevant images and videos to the user. Especially for the walking tour, I was able to enliven the information gathered from the webpages with additional content. No matter how thoroughly you’ve tested the bot, unless it’s a very simple one, you probably won’t have had a chance to have tested every permutation and especially those involving quirky responses from users. And it’s only when large numbers of users are interacting with the bot will issues you’ve overlooked come to light. Therefore, in building a bot for a client, the process does not end when you hand over the code for the bot to be pasted on their website, Messenger or other channel. You have to include a couple of weeks worth of revisions before you can confidently let it go, happy that your bot is working smoothly.